#RIPPEDFamily, allow us to introduce you to an incredible fighter in our community, RUMBLE instructor and Fall 2018 R.I.P.P.E.D. 2 Fit Challenge Winner Suzanne Lewis Mott. Believe us when we tell you that reading Suzanne’s story is the wake-up call you’re looking for if you’ve found yourself in a rut. It’s also motivation for you if you’re striving to challenge your body and step your fitness goals up a notch. 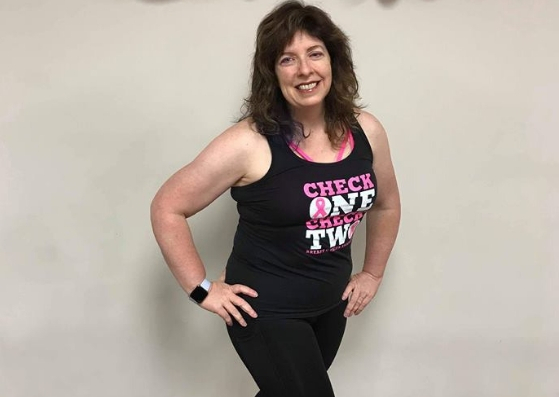 Eleven months after her breast cancer diagnosis and immediately after she completed active treatment, Suzanne joined our family in February of this year. She shared with us that she was obese for over 20 years prior to a point where she avoided running and jumping because it was uncomfortable for her. Now Suzanne can label herself as ‘capable,’ because she’s proven that with the right mindset, she can conquer her fears and obstacles. Get inspired by her powerful experience with the R.I.P.P.E.D. 2 Fit Challenge. R.I.P.P.E.D. : Why did want to participate in the R.I.P.P.E.D. 2 Fit Challenge this Year? Suzanne: This was actually my 2nd time doing R2F. The first time through the challenge was a really good learning experience, but I felt like I hadn’t fully embraced it since I was so new to R.I.P.P.E.D. at the time. When the Fall R2F Challenge was announced, it was so exciting to me to have the opportunity again. I decided that this time if I was going to do the challenge, I was going to go all-in, to do my best to embrace everything about the challenge and see where it took me. I made many friends in those 6 weeks, and I value that just as highly as I do the physical improvements resulting from the challenge. Since getting to know the R.I.P.P.E.D. family and all of their wonderful support and encouragement, I’ve realized that I no longer see myself as “not.” To say that I’m profoundly grateful is a HUGE understatement! R.I.P.P.E.D. : What were your main motivators through the challenge? Suzanne: My main motivators were the same ones that started me on my weight loss and fitness journeys: my children and my husband. My illness had been as difficult on them as it was on me, and I wanted them to see me not only healthy but also growing and thriving after that experience. Completing the challenge was one more step toward accomplishing that. And so was taking the RUMBLE certification training—that was my reward to myself for finishing the challenge! R.I.P.P.E.D. : What was the most exciting part about the R.I.P.P.E.D. 2 Fit Challenge? Suzanne: To me, the most exciting part was the daily interaction with the R2F Challenge community. Amy Wilson was an awesome coach, and I am so grateful for all of her time and effort to get us to think and act in new ways. She answered our many questions and gave us constant encouragement. Our community members were just amazing in continually lifting each other up and in their willingness to be real and vulnerable with each other about their own struggles. I made many friends in those 6 weeks, and I value that just as highly as I do the physical improvements resulting from the challenge. Since getting to know the R.I.P.P.E.D. family and all of their wonderful support and encouragement, I’ve realized that I no longer see myself as “not.” To say that I’m profoundly grateful is a HUGE understatement! R.I.P.P.E.D. 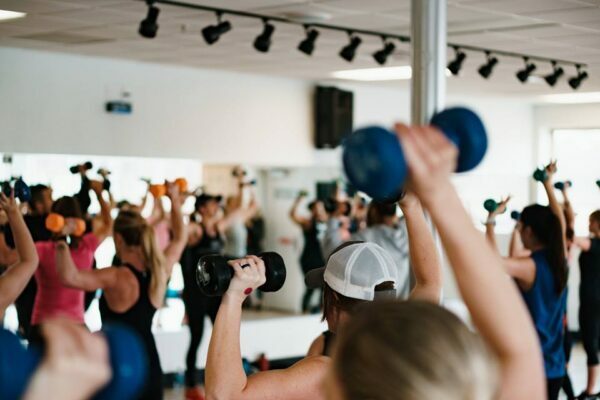 : How did the R2F challenge change your lifestyle and fitness routine? 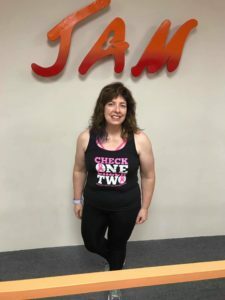 Suzanne: The nutrition part of the challenge seemed like it would be a relatively small change for me since I had been slowly moving toward following the “D” [Diet] all year. But wow—what a difference it made in how I felt once I started having 5 meals a day and hitting the macros at every meal. It gave me incredible energy. Now, I notice very quickly if I have a meal that’s off. It doesn’t mean I should never go off—life happens, after all! But I work to get right back on track after that. The bigger change was figuring out how to maintain my fitness routine when I travel for business. I’m not a fan of hotel fitness rooms and haven’t been able to find classes to take when I’m out of town. Right after R2F started, I found out that I would be traveling for 4 out of the 6 weeks in the challenge – pretty daunting news at first when I just got myself into a groove. I was determined to make it work, though, because I’d committed to being all-in on the challenge. I wanted to see what would happen if I said no excuses. The timing for the R.I.P.P.E.D. Fit Factory opening up online couldn’t have been more perfect! I signed up and was able to get my workouts in every week of the challenge, and every travel week since then. R.I.P.P.E.D. : What advice would you give to someone doing R2F for the first time? Suzanne: Well, first I’d say try to taper down on sugar at least a week before the challenge – going through detox is no picnic! I prepared ahead for the Fall R2F Challenge and that made Week 1 much easier on me. There is a lot to learn, and it can seem overwhelming, but making a few small changes at a time instead of trying to do everything at once can really help you to be successful. You’re learning how to sustain lifestyle changes, not just applying a temporary fix. Second, it’s so important to participate in the online group. The support, information, and encouragement that you can receive and give to other participants is simply an amazing experience and is a huge key to how well you can do. Get inspired by our two other R.I.P.P.E.D. 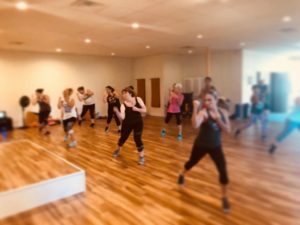 2 Fit Winners Sheila Sinsay and Alyssa Majeski’s fitness journey. If you enjoyed Suzanne’s story, you’re going to enjoy reading about these two ladies just as much. 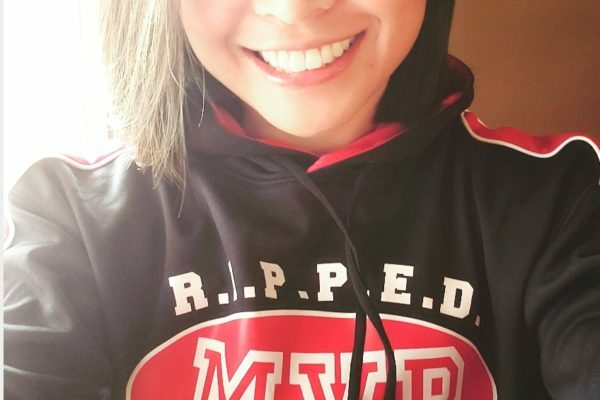 How MVP Regina Tudlong Strengthens Her Mind Through R.I.P.P.E.D.